What is it worth to make your meetings both more efficient and more effective? 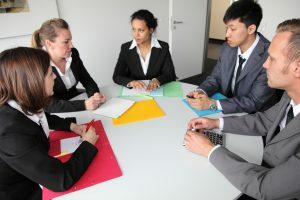 As I have been suggesting for the past several weeks, meetings can be improved in many different ways, both by reducing their costs (fewer meetings, shorter meetings, fewer participants, smaller conference rooms, and relying more on virtual meetings), and by improving their outcomes (crisper decisions, more explicit commitments to action, more active follow-up and feedback). 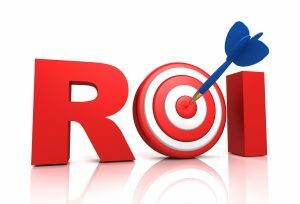 Over the last two weeks, in “Back to Basics: Making Your Meetings More Effective,” and “The Business Case for Making Your Meetings Matter (Part Two),” I have been sharing several basic ideas for improving your organizational ROI for meetings. Are you frustrated by all the time you waste in lousy, boring, unproductive meetings? Are you ready to do something about it? Reducing costs – fewer meetings, shorter meetings, and more efficient meetings; leaving more time for people to get their own work done. I’ve been studying and writing about organizational meetings for years. And I’ve offered lots of tips, techniques, and “rules” for making your meetings matter – to the organization, to your staff, and to yourself. But I haven’t spent enough time discussing why making meetings matter is so important. In other words, what is the business case for changing the way you design and lead meetings? Reducing costs: fewer meetings, shorter meetings, and more efficient meetings, leaving more time for people to get their own work done. If it was a meeting that mattered – an experience you want to have again – then it included a meaningful conversation. As the meeting wound up you were incredibly energized and ready to do something important, and/or you were disappointed it was over. A meaningful conversation changes you in important ways. You see the world differently, or you have new insights into a problem you’ve been struggling with, or you know someone in a far more personal way. As I think back on memorable meetings I’ve been part of, it seems clear that the participants were speaking openly and honestly, and with respect for each other’s experiences and intentions. We were all “in the moment” exploring a topic we cared deeply about. 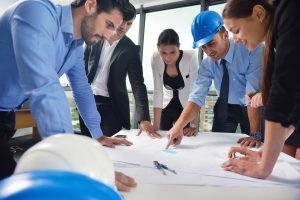 Recently I’ve been offering tips and techniques for making meetings more productive – and more popular. 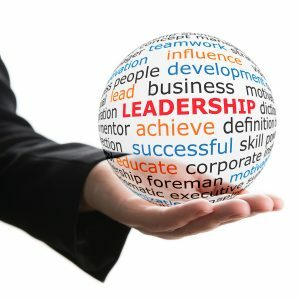 A few weeks ago I listed 10 tips for meeting leaders (“10 Tips for Leading Meetings That Matter”), and then on May 30 I shared a reaction to that first article that was largely inspired by Bob Leek of Multnomah County, Oregon (“Making Meetings Matter: Distributed Leadership”). Last week I offered ten tips for making a meeting flow smoothly (“10 Tips for Leading Meetings That Matter”). They were clearly directed at meeting leaders who have responsibilities for designing, convening, and directing meetings. Bob Leek, Deputy Chief Information Officer for Multnomah County, Oregon, responded to that article by observing that, while meeting leaders are nominally “in charge” of their meetings, individual participants also contribute directly to the quality of the meeting conversations. Do you want your meetings to matter? Of course you do. But wanting and doing are two very separate things. And as I have often stated, I’m convinced that being an effective meeting leader is as much about your mindset as it is about your skillset. There is no question that the future of work is centered around meetings. Meetings are the way people share ideas, learn from each, collaborate to produce new knowledge, solve problems, and make decisions. Meetings are central to the future of work, yet most people I talk to complain that their meetings are horribly mismanaged most of the time, and are all too often a painful waste of their time. That’s why I am on a crusade to make every meeting matter. The first step to making your meetings matter is to be more intentional about them. And that starts with being exceptionally clear about why you are calling the meeting and what purpose you want it to accomplish. https://makingmeetingsmatter.com/wp-content/uploads/2016/02/mmm-header-left2-2.png 0 0 James Ware https://makingmeetingsmatter.com/wp-content/uploads/2016/02/mmm-header-left2-2.png James Ware2016-05-02 10:52:512016-05-10 12:35:36Is This Meeting Necessary? The first step in making your meetings and other conversations matter is to be more intentional about them. However, because every one of us engages in work-related conversations of all kinds every day, it is highly unrealistic to suggest that you spend time thinking through every conversation before it takes place. So let’s focus on formal meetings. 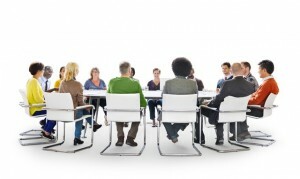 Every meeting you set up and hold consumes scarce corporate resources – time and money. Don’t walk into any meeting or significant conversation without thinking through the basic variables, being clear about your purpose and expectations for the meeting, and sharing those expectations with the invited participants.